Statistics sited in this document were taken from “National Association of Colleges and Employers”, Bethlehem, Pa. Survey of 160 Major Employers across the Country. Across our country right now are millions of high school seniors anticipating graduation within a few weeks. Many of those students have been accepted to attend colleges and universities, both near and far, with goals of pursuing their passion and finding that coveted “dream job”. There are also a great number that really don’t know what they want to do but realize they have about two years to “declare” a major. Too many times they do what daddy or mommy want them to do without taking a good hard look at what’s selling. What occupations would I enjoy for a lifetime AND what occupations satisfy need for the basics; i.e. food, shelter, clothing, gas in the car, enough money for a date on Saturday night, etc., if graduate school is not in the picture four or five years down the road. The statistics below may give the graduating high school senior insights as to where we are in this nation relative to employment and where we might be in the very near future. Scary right? As a college or university graduate, you will be competing with many individuals FOR THE SAME JOB. Also, no longer is your competition “local” only. People seeking employment have online sources to search for positions AND, they are willing to move in order to get the best job in their specific field. My town is very fortunate to have VW as an employer. Over 2500 people work at VW with 800 additional individuals being sought at this time. I think it is very unfortunate that VW is having to go “national” in its search for technical people. We simply do not have candidates that meet their needs. This is the country we live in right now and I suspect conditions will not get much better. Hiring is definitely on the rebound and the greatest gains are within very specific fields of endeavor. Let’s take a look at spring 2012 to see what professions are in demand. Please keep in mind that 160 companies were interviewed to find out what disciplines represented the greatest need. The 160 companies interviewed also indicated they prefer prospective employees to have work experience within their specific field of study. Co-ops, interns, volunteer efforts may just give you the edge when competition is the greatest. It certainly won’t hurt. Also, having a great and credible reference (or references) is a definite benefit. You MUST know how to draft a well written document, put words together to make a sentence, paragraph or page that makes sense and is readable. Good punctuation, good “wordsmithing”, logical sentence structure and basic flow of ideas will get you a long way. You would not believe what I have seen from university graduates. Some simply don’t know how to write (which consequently makes me believe they don’t know how to think!). The need to be bi-lingual or even multi-lingual is extremely desirable in today’s culture. Learn Spanish or French or German or Italian. Oh by the way, we have English and we have Southern—I’m from Tennessee, and I know the difference. Know how to speak English- the King’s English -but know at least one other language. If you are a person of color you may have to “act white” when dealing with customers, peers, managers and teachers. Don’t “axe” them a question, don’t use “ghetto” language and think you will get ahead any time soon. It just does not work that way. You will eventually be working in a professional atmosphere so be professional. Employers won’t say anything but you will be evaluated based upon how you speak and how you answer questions. I have told our three children that their first manager may just be an old guy like me, so behave. Read continuously from the moment you enter college and continue that action throughout your professional career. Don’t ever think that watching hours of TV will do anything but waste your precious time. Stay abreast of developments within your profession and discuss those developments with your peers and your manager. Cultivate the habit of reading about subjects outside your chosen field. Some day and in some way, that information will come back to benefit efforts within your profession. Never fails! Managers needing employees know those individuals who are well-read and articulate subject matter in a concise manner. Network—ALWAYS, prior to the interview and after the interview. Know the company you are interviewing. Do your homework before you sit down with the HR guy. What do they do? Where are they located? How many employees? Where are their offices? National or international? You get the picture. You must know this information before you go in. YOUR COURSEWORK MUST REFLECT YOUR ABILITIES FOR THE POSITION YOU ARE INTERVIEWING . You won’t be able to “wing-it here”. Enough said. Good luck! I have worked with some of the very finest young people on the planet in my years as a mechanical engineer. They are smart with great work ethic and really resourceful. (I love the resourceful.) Trust me on this one, you can do extremely well during the interview and on the job with the proper attitude and a willingness to listen, apply your considerable talents, and work. Always remember—If you want to leave you’re footprints on the sands of time, you must wear work shoes. Been there, done that, got the “T” shirt. The environmental markets have been actively trading on both compliant and voluntary levels for the last seven (7) years. The Kyoto Protocol was the first compliance driven agreement among 37 countries established by the (UNFCCC) United Nation Framework Convention on Climate Change. The UNFCCC created benchmark emission reduction goals. Annex I initiated that effort in 2005 will conclude at the end of 2012. The reductions call for 5% annual reductions based on the emissions benchmark established in 1990. There are currently 34 countries that have selected to continue in 2013 with compliance guidelines established at the Durban Conference to insure Climate Change regulations would be in place. These non-binding guidelines will become mandatory in May 2012. The European Union Trading Scheme will continue with the Clean Development Mechanism and Joint Implementation Programs to reduce total emissions by an additional 20% by 2020. Currently Certified Emissions Reductions from industrialized and non-developed nations are being traded through the aforementioned programs from entities adopting these programs. The United States signed the Kyoto Protocol however never put in place compliant guidelines enabling emission reduction instruments to be traded within these markets. Therefore, credits originated in the United States would have to be traded within voluntary markets. The Western Climate Initiative is scheduled to begin January 1, 2013 with California and Quebec as the two participating parties in the first North American compliant cap and trade program. The trading platform will adhere to guidelines outlined in Bill AB 32, ratified in 2006 and recently upheld by election in November 2010 via Proposition 23. Prop 23 was overwhelmingly endorsed by 63% of the voters and has cleared the way for a statewide cap and trade program. The California Air Resources Board has cleared the way for the first compliant stateside cap and trade system. Phase I is through 2020 with targeted reductions of 17% overall. The resources board has acknowledged 4 crediting programs whose protocols were adopted from the Climate Action Reserve; Forestry, Urban Forestry, Ozone Depleting Substances, and Livestock. These programs will be eligible for carbon crediting through the abatement or reduction of carbon emissions. California represents 25% of the total U.S. GDP and will allow carbon sequestration projects that can be originated anywhere in the continental U.S., Canada, and some regions in Mexico. The Western Climate Initiative (WCI) will be the established platform that California and Quebec will adhere to for climate protocol. WCI member jurisdictions include 7 US states and 4 Canadian provinces: Arizona, British Columbia, California, Manitoba, Montana, New Mexico, Ontario, Oregon, Quebec, Utah, and Washington. It is expected that states and provinces within the WCI will follow suit once the program is up and running. There is definitely a political element to cap and trade programs. It is somewhat difficult to predict what federal and state programs will be put in place in future years that could expand the areas of compliance. California Carbon Allowances are currently being traded on the Intercontinental Exchange. Pricing for the allowances began at $17 per allowance for the first transaction and then went as high $23. Point Carbon has forecasted carbon allowance prices to rise as high as $75 by 2020. The offsets are credits that are generated from emission reduction projects that are expected to price at approximately 70% of allowance prices. The voluntary markets were impacted dramatically when federal cap and trade legislation stalled in the senate in 2009. The economic environment and passing of the health care initiative put a formal cap and trade program on hold. Voluntary carbon offsetting went from being for the greater good of the public to a luxury line item. The economy has started to slowly correct and voluntary market transactions per Markit have continued to grow. Issuance activity was up to 27.8 million Verified Carbon Standard Credits an increase of 500,000 credits. Credits being traded from 2010 to 2011 were 3.6 million to 9.8 million or an increase of 6.2 million credits. The Gold Standard credits traded at premiums and most transactions were over the counter pricing from $8-$12. Companies such as Whole Foods, Google, Yahoo, and Wal-Mart are forward thinking companies that are either buying voluntary carbon offsets or actually funding projects that directly reduce emissions. The Bonneville Environmental Foundation was set up to offset emissions and list participants such as Chevrolet, The North Face, REI, NHL, MLS, Idaho Power, Silk and Oregon State University. The Foundation has identified projects that yield certain credits to address the offset needs of these individual entities. Renewable Portfolio States (RPS) continue to grow as there are now 34 with Renewable Portfolio Standards currently in place. The RPS mechanism generally places an obligation on electricity supply companies to produce a specified fraction of their electricity from renewable energy sources. Certified renewable energy generators earn certificates for every unit of electricity they produce and can sell these along with their electricity to supply companies. Supply companies then pass the certificates to some form of regulatory body to demonstrate their compliance with their regulatory obligations. Because it is a market mandate, the RPS relies almost entirely on the private market for its implementation. Unlike feed-in tariffs which guarantee purchase of all renewable energy regardless of cost, RPS programs tend to allow more price competition between different types of renewable energy, but can be limited in competition through eligibility and multipliers for RPS programs. Those supporting the adoption of RPS mechanisms claim that market implementation will result in competition, efficiency and innovation that will deliver renewable energy at the lowest possible cost, allowing renewable energy to compete with cheaper fossil fuel energy sources. California currently has the largest requirement that is 33%. Credits are traded in the form of Renewable Energy Certificates or Solar Renewable Energy Certificates. In the early 1990s the United States realized the need for Renewable Fuel Credits to reduce the amount of fossil fuel consumption. Transportation accounts for the majority of fossil fuel use and incentives were put in place to offer renewable/alternative fuel credits. Corporate Average Fuel Economy is a standard that was adopted to improve the average fuel economy of vehicles in the mid 1970’s to try and reduce the fuel consumption after Arab Oil Embargo. Most recently the use of ethanol and various other biofuels have created renewable fuel credits or RINs. RIN is short for Renewable Identification Number and is a renewable fuel credit. A RIN credit is a serial number assigned to each gallon of renewable fuel as it is introduced into U.S. commerce. RIN credits were created by the Environmental Protection Agency (EPA) as part of the Renewable Fuel Standard (RFS) to track our nation’s progress toward reaching the energy independence goals established by the U.S. Congress. RIN credits are the currency used by obligated parties to certify compliance they are meeting mandated renewable fuel volumes. All gasoline produced for U.S. consumption must contain either adequate renewable fuel in the blend or the equivalent in RIN credits. EPA regulations require that the RIN be tracked throughout each link in the supply chain, as title is transferred from one party to the next. RINs are assigned and travel with renewable fuel until the point in time where the biofuel is blended with petroleum products to produce gasoline. Once the renewable fuel is in the gasoline, the RIN is separated and is then eligible to trade as an environmental credit. Overall, emission reduction credits are here to stay. The Climate Change initiative is considered to be gaining more traction with the WCI platform being established and is predicted to pick up steam on a national level as states begin to adopt their own regulations regarding greenhouse gas emissions. The Clean Air Act is still in force and additional GGE compliance could be implemented through the EPA. I certainly enjoy reading about and understanding new technologies. Those technologies that provide “value added” by their very nature. I just ran across two “new words” that demonstrate old dogs can learn new tricks and seemingly old technology can be new to the uninitiated—in other words me. Do you know what a clathrate is? A clathrate hydrate? OK, neither did I. Here we go. 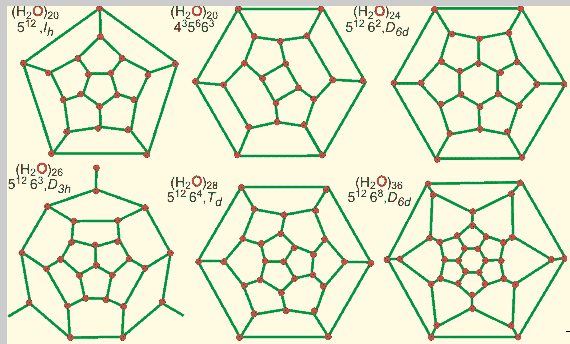 As indicated in the first sentence of the paper—“Gas hydrates are clathrates where guest gas molecules are occluded in a lattice of host water molecules.” Well and good, but for a “gear-head” like me, what does this mean? A clathrate hydrate is a very special type of hydrate in which a lattice of water molecules encloses molecules of trapped gas. This gas could be methane, ethane, syngas, etc etc. You get the picture. For our purposes, we will discuss methane only. Large amounts of methane, naturally frozen in this form, have been discovered in both permafrost formations and sea beds under the ocean’s floor. Methane hydrates are believed to form by migration of gas from significant depths along geological faults, followed by precipitation or crystallization, upon contact with rising gas streams of cold sea water. About 6.4 trillion (that is, 6.4×1012) tons of methane lie at the bottom of the oceans in the form of clathrate hydrate. Each kilogram of fully occupied hydrate (actually only about 96% occupancy is found) holds about 187 liters of methane (at atmospheric pressure). One significant fact, ice-core methane clathrate records represent a primary source of data for global warming research, along with oxygen and carbon dioxide. This is one reason why there is research data available on the huge quantities of entrapped methane gas. As mentioned above, Mr. M.E. Benesh first proposed using this technique as a method of storing natural gas as early as 1942. At that time, the methodology of doing so was not available, now it very well may be as demonstrated by Mississippi State. 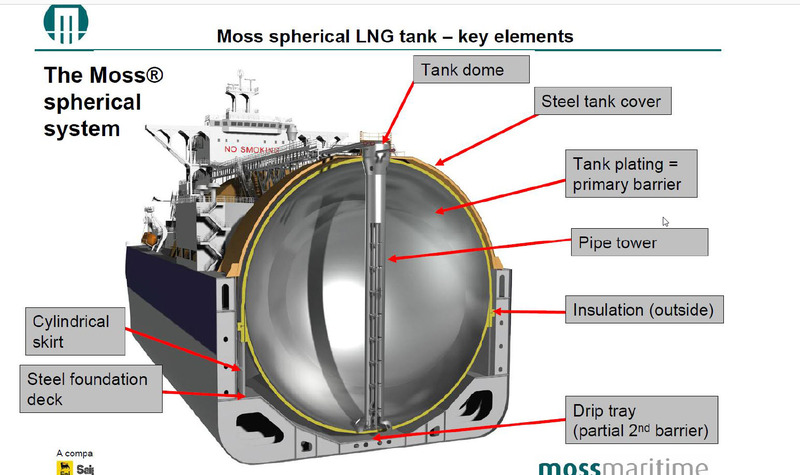 Since methane clathrates are stable at higher temperatures than LNG, there is a great interest in converting natural gas into clathrates rather than liquefying it prior to transporting by seagoing vessels. A significant advantage would be the production of natural gas hydrate from natural gas at the terminal. This would require a much smaller refrigeration plant and less overall energy as compared to the production of LNG. The only real issue seems to be the rate of production and the economic viability of production. Both issues are being addressed at this time by Mississippi State University. The real benefits would come from incorporating this storage method for locations in which it is impossible to fabricate transmission piping or transmit the gas in an easy fashion other than tanker or truck. It is something to be aware of and to think about. At any rate, it is fascinating. I hope you agree.